November | 2015 | Live Healthy S.C. In the United States, lung cancer remains the leading cause of cancer death in both men and women, even though an extensive list of modifiable risk factors has long been identified. Approximately 4,040 South Carolinians will be diagnosed with lung cancer and an estimated 2,970 will die from the disease in 2015. While smoking is, by far, the leading cause of lung cancer in the United States, it is a disease that can affect anyone, so it is important for everyone to know the risks and look out for your health. Tobacco use is the number one cause of lung cancer in the United States, causing 90 percent of all lung cancer, and it is completely preventable. No matter what your age or how long you have smoked, quitting now will make a difference in your health that you can feel. If you or someone you know would like to quit smoking, call the S.C. Tobacco Quitline at 1-800-QUIT-NOW (1-800-784-8669). For services in Spanish, call 1-855-DÉJELO-YA (1-855-335-3569). Although lung cancer’s predominant cause is tobacco smoking, there are other causes as well. Radon, for example, is the leading cause of lung cancer in non-smokers in the U.S. Radon is a colorless, odorless, radioactive gas that occurs naturally in the environment and can seep into homes and buildings. To avoid exposure, it is a great idea to test your home for radon. Click here to order a free radon testing kit from DHEC. The quality of the air you breathe can make a difference in your risk of lung cancer, so it is important to be mindful about the environment where you live and work and avoid exposure to carcinogen pollutants. Substances such as arsenic, asbestos, chromates, nickel, and other air-borne agents have been known to contribute to lung cancer. Outdoor air pollution, including smog and CO2 emissions from vehicles, is also a factor that can affect your lung health and contribute to lung cancer risk. Patients should talk with their doctors about the benefits, limitations, and potential harms of lung cancer screening. For more information about lung cancer, please visit the American Cancer Society’s website. This entry was posted in Air Quality, Chronic Disease, Community Health, Disease Control and tagged cigarettes, lung cancer, Radon on November 30, 2015 by SC DHEC. Thanksgiving is a time to express our thanks with friends and family, but it is also a time when many Americans over-indulge in a bounty of meats, casseroles and sweets. This holiday season, follow these simple tips to help you feel as light on your feet as you do in your heart with loved ones around you. Start the day with a small but healthy breakfast to keep you energized and your metabolism moving. Trying to “save yourself” for a big meal at the end of the day can leave you feeling sluggish and extra hungry – leaving you more likely to overeat at Thanksgiving Dinner. Take a walk early in the day and then again after dinner. It’s a wonderful way for families to get some physical activity and enjoy the holiday together. Drink plenty of water throughout the day and with your meal. Drinking at least eight glasses of water throughout the day will keep your whole body hydrated and help your digestion. Skip the salt! Use herbs and spices instead of salt to enjoy the flavor of your food. Too much sodium can increase your blood pressure. 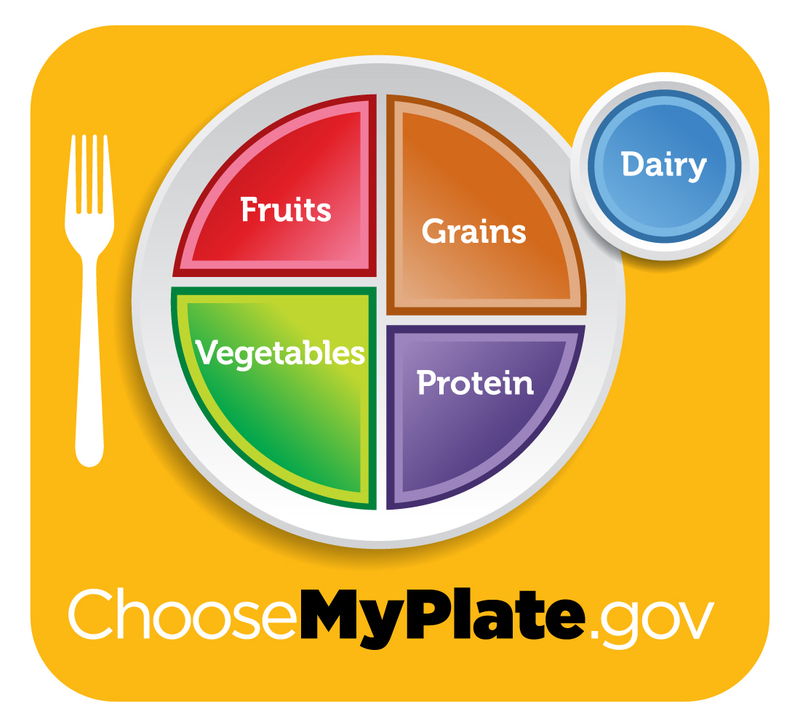 Fill ½ half of your plate with vegetables such as carrots and green beans, broccoli, salad and asparagus. Fill ¼ of your plate with starches such as sweet potatoes and dressing. Other choices for this section may include corn, rice, or mashed potatoes. Fill ¼ of your plate with lean turkey slices. Remove the skin from the turkey before eating. Avoid casseroles or dishes that have heavy creams, sauces, butter or crusts. Skip the bread or rolls. For more information, please visit the DHEC website. This entry was posted in Community Health and tagged healthy eating, holiday, Thanksgiving, turkey on November 24, 2015 by SC DHEC. 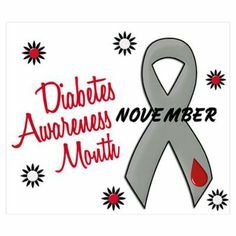 November is National Diabetes Awareness Month, which is a great time to understand the impact of diabetes in S.C. and how to prevent and manage this chronic disease. Diabetes is diagnosed when a person’s body does not make enough insulin or cannot properly use insulin (insulin is a hormone needed to turn food into energy). Type 1 diabetes is when your body does not make insulin. This is a problem because you need insulin to take the sugar (glucose) from the foods you eat and turn it into energy for your body. You need to take insulin every day to live. Type 2 diabetes is when your body does not make or use insulin well. You may need to take pills or insulin to help control your diabetes. Type 2 is the most common type of diabetes. Gestational diabetes is diagnosed when women are pregnant. Most of the time, it goes away after the baby is born. But even if it goes away, these women and their children have a greater chance of getting diabetes later in life. Diabetes in S.C. and the U.S.
South Carolina ranks 4th highest in the nation in the percent of the adult population with diabetes. Approximately 1 in 6 African-Americans in S.C. has diabetes and S.C. has the 3rd highest rate of diabetes among African-Americans in the nation. Your risk of developing type 2 diabetes increases with age and a dramatic increase can be seen among those 45 years of age and older. Diabetes affects nearly 30 million children and adults in the U.S. today—nearly 10 percent of the population. Recent estimates project that as many as 1 in 3 American adults will have diabetes by 2050 unless we take steps to Stop Diabetes®. Risk factors for diabetes include older age, obesity, family history of diabetes, prior history of gestational diabetes, impaired glucose tolerance, physical inactivity, and race/ethnicity. African Americans, Hispanic/Latino Americans, American Indians, and some Asian Americans and Pacific Islanders are at particularly high risk for type 2 diabetes. Complete the diabetes risk assessment test to determine your risk status. However, by lowering your blood sugar levels, you can prevent or delay these complications. The American Diabetes Association estimates that the total national cost of diagnosed diabetes in the U.S. is $245 billion and the direct medical costs reach $176 billion. The average medical expenditure among people with diabetes is more than two times higher than those without the disease and indirect costs amount to $69 billion (disability, work loss, premature mortality). One in 10 health care dollars is spent treating diabetes and its complications. This entry was posted in Chronic Disease, Community Health and tagged diabetes, glucose, insulin, sugar on November 23, 2015 by SC DHEC. Get ready to lose the habit, and become victorious over tobacco. The S.C. Department of Health and Environmental Control reminds smokers and tobacco users that the Great American Smokeout on Nov. 19, is the perfect opportunity to take advantage of resources available through the S.C. Tobacco Quitline. About 42 million Americans still smoke, and tobacco use remains the single largest preventable cause of disease and premature death in the United States. The American Cancer Society Great American Smokeout encourages smokers to quit that day or to make a plan for quitting. The health benefits begin the moment you stop smoking. Quitting at any age can give you back years of life that would be lost by continuing to smoke. Call 1-800-QUIT-NOW (1-800-784-8669) or click to call. For more information on the health benefits of staying away from tobacco and tips to quit, click here. This entry was posted in Community Health and tagged Great American Smokeout, quitting, smoking, tobacco on November 19, 2015 by SC DHEC. In 1983, when November was designated as National Alzheimer’s Disease Awareness Month, fewer than 2 million Americans had the disease. Today, the number of individuals with Alzheimer’s has soared to more than 5 million. An estimated 81,000 South Carolinians are currently living with Alzheimer’s disease, and that number is expected to grow 48 percent to 120,000 people affected by 2025. While there is currently no cure for Alzheimer’s, early detection and diagnosis is critical to ensure that those living with Alzheimer’s have the power to plan their own health care and future. Those who receive an early diagnosis of Alzheimer’s can gain the best possible benefits from current medications, play an active role in decisions about treatment and care, and even participate in Alzheimer’s clinical trials of treatments being developed. 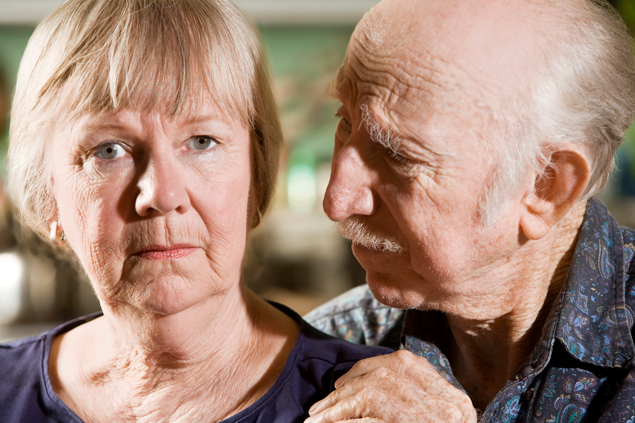 Many people think of Alzheimer’s disease as a normal part of aging, or simply memory loss. While age is the greatest known risk factor, the reality is that Alzheimer’s can strike as early as in a person’s 30s, 40s, or 50s. It also impacts far more than a person’s ability to remember names or recall where they left their keys. The Alzheimer’s Association teaches warning signs to help people recognize when they might need to consult a doctor about changes in a loved one or in themselves. Individuals may experience one or more of these signs in different degrees, so if you recognize any of these signs, please talk to a doctor right away. For more information, please visit the national Alzheimer’s Association or the South Carolina Chapter’s webpage. This entry was posted in Chronic Disease, Community Health and tagged Alzheimer's, confusion, memory loss on November 18, 2015 by SC DHEC.